I LOVE spicy foods and if you ask my kids where mom likes to go eat, they’ll tell you Taqueria! We have these small family owned Mexican food places around every corner in our small town. They cook up good ole down home Tex-Mex that I just can’t resist. These Charro beans are a knock off of what I have along side my fajitas every other week or so. 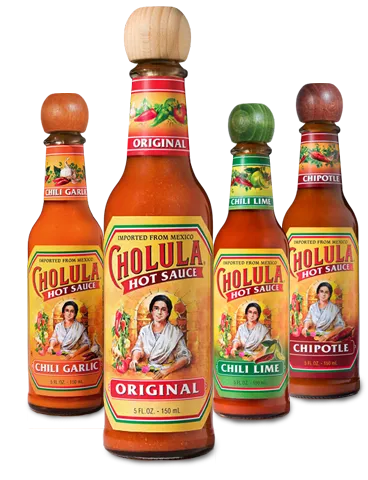 Cholula Hot Sauce is one of the key ingredients in this recipe that really makes it stand apart. It’s sold at just about every supermarket around here, but if you can’t find it where you are, you can buy it here, online. I use the original flavor in this recipe. Scroll to the bottom of this post to see a picture of this sauce. 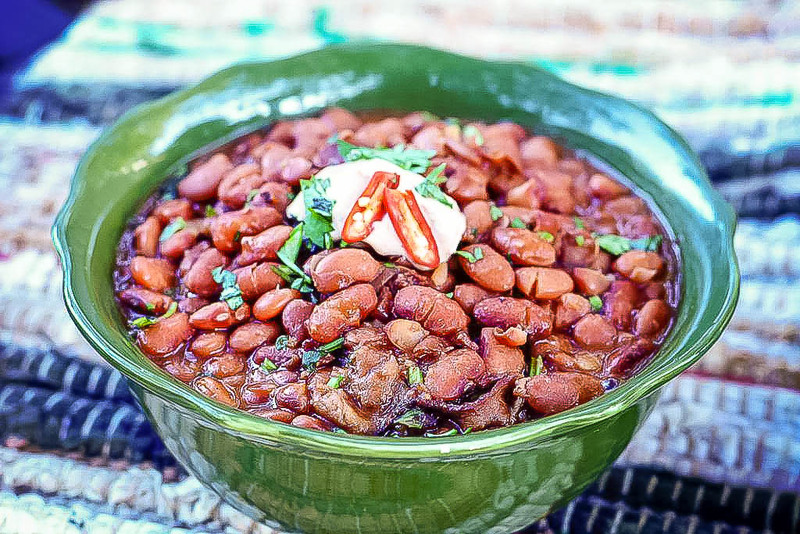 These beans are great served with a dollop of sour cream and my Green Chile & Cheddar Corn Muffins. Sort beans; pick free of rocks and tiny dirt clods, and discard any shriveled beans; rinse with cold water in a colander. Place in a large pot; add ½ of the water and bring to a rapid boil. Lower heat, cover with a lid and simmer for 15 minutes. Turn off heat and allow to sit for 1 hour. Drain beans back into the colander. Wipe out cooking pot and add ¼ c canola oil and fry bacon until lightly browned. Add onion and peppers and sauté until onion is translucent. Add garlic and continue cooking until fragrant. Immediately add tomatoes and 1 cup of water to deglaze the pan. Return beans to the pot and add 5 more cups of fresh water, bottle of beer, and Cholula Hot Sauce. Bring to a boil; reduce heat to a simmer. Cook until tender, about 1½ to 2 hours. Add water occasionally, 1 cup at a time, to prevent beans from drying out. Adjust with salt and pepper to taste. Right before serving, stir in cilantro.